Update 2/4: Only one week left to get this unprecedented offer. Southwest’s lineup of consumer credit cards already offered some of the most lucrative sign-up bonuses in the low-to-midrange travel credit card space, but their new limited time promotion might just be the best welcome offer we’ve ever seen. From any credit card. With any annual fee. Seriously. 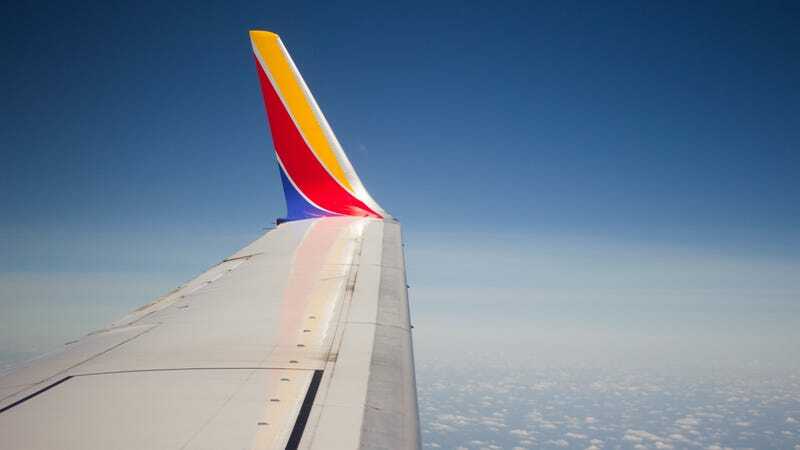 From now until February 11, if you sign up for any of Southwest’s three consumer credit cards, and spend $4,000 in the first three months, you’ll receive 30,000 Southwest Rapid Rewards points, plus Companion Pass for the rest of 2019. Companion Pass has long been a holy grail of travel rewards, allowing you to designate one person who can fly for free* with you any time you book a Southwest flight, be it with money or points. *They just have to pay the standard $5.60 in taxes and fees each way. Companion Pass typically requires you to earn 110,000 qualifying points or take 100 paid Southwest flights in a year. And while there used to be a way to get very close to 110,000 point threshold by signing up for multiple credit cards in a year, that avenue closed after Southwest stopped allowing customers to hold multiple Southwest cards at once. It should be noted that this promotion isn’t quite the same as earning Companion Pass through traditional means, since it’s only good through the end of 2019, rather than the rest of this calendar year plus all of the following year. But even so, it’s a benefit that’s as valuable as you choose to make it over the next several months. There’s no limit to the number of times you can use it, and there’s no cap on the value of your free flights. And with Southwest expected to launch service to Hawaii in the coming months, this could get you well on your way to a dream vacation. Or, if vacation days are a concern, it could be your excuse to take more quick weekend jaunts to see the country. The 30,000 points you get along with the Companion Pass are worth about $450 on their own, which means they’ll get you about $900 in travel when you account for the free Companion tickets. The Rapid Rewards Priority card -$149 annual fee, includes a $75 annual Southwest travel credit, four boarding upgrades per year (subject to availability), and a 7,500 point anniversary bonus, and no foreign transaction fees. The Rapid Rewards Premier card - $99 annual fee, includes a 6,000 point anniversary bonus and no foreign transaction fees. Rapid Rewards Plus card - $69 annual fee with a 3,000 point anniversary bonus. For the record, I’d recommend the Priority card. You’ll definitely make good use of the travel credit and the upgraded boarding certificates during your whirlwind Companion Pass year. Note: You’re only eligible for this promotion if you don’t currently hold a Southwest consumer credit card, and if you haven’t earned a welcome bonus from a Southwest consumer credit card at any point in the last 24 months.